Dip Your Toe - Have a Go! Come and try rowing on a Bronze Age Boat. 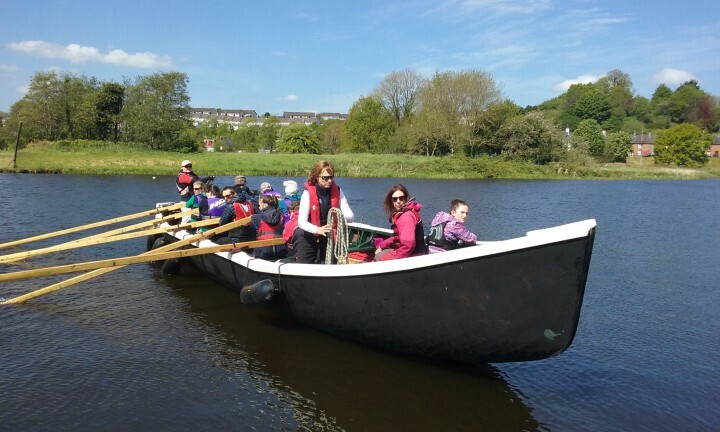 Join a crew of 10 to row a traditional currach through Enniskillen getting a real sense of what it must have been like so many years ago. Meet at the Broadmeadow beside Enniskillen castle on the shores of Lough Erne for a short 20 min taster of rowing. Taster session, instruction and equipment. Wear outdoor clothes and shoes. Bring a rain coat. Lifejackets for all ages will be provided. Over 6 years. All children under 16 years old must be accompanied by an adult.